The Group Chief Executive Officer of Emerging Africa Capital Group(EAC), Mrs. Toyin Sanni, has stressed the need to always project the investment opportunities in the Nigerian capital market in particular and the economy in general. Sanni, stated this at the formal unveiling of her book titled: “Riding the Eagle – A Guide to Investing in Nigeria” in Lagos. According to her, the book was a demonstration of her commitment to Nigeria as a country and an investment destination. 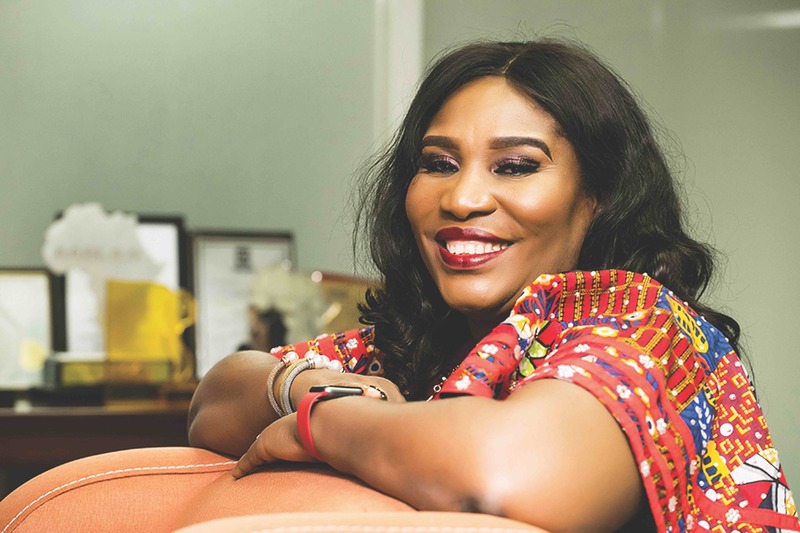 “It is a book that is intended to showcase the multiple opportunities that exist in Nigeria for investment and to also steer investors through what you might call the minefields,” she said. The CEO of Nigerian Stock Exchange (NSE), Mr. Oscar Onyema commended Sanni on her brilliant work and ability to combine the demands of being a CEO with the pressures of being a published author. He described the book as a useful resource for those seeking to make profitable investment in Nigeria. “The book engages its readers in the simplest way to provide robust investment information. The coverage of various sectors for investment, particularly those sectors that require more investors such as refining, agriculture, power, healthcare is very key to any discerning investor,” Onyema said. Also, the Acting Director-General of the Securities and Exchange Commission (SEC), Ms. Mary Uduk hailed Sanni for her great analysis of the investment situation in Nigeria. “Riding the Eagle is a book which provides comprehensive and up to date relevant information on investing in the Nigerian market,” Uduk said. Speaking on the book, Mrs. Folorunso Alakija, who was chaired the presentation ceremony, applauded Sanni for her works which positively impacted women. Alakija equally commended the EAC team for the extensive work done in putting the book together and further went on to state that she believes the book should be in every school as well as on all sale platforms to create easy and much needed access. The Chairman of the event,Mrs. Folorunso Alakija also gave a speech, in which she applaudedMrs. Sanni for her works which positively impacted women. She said, “the book is appropriate and timely for the current investment climate and a must read for all stakeholders in the investment sector.” She also commended Mrs. Sanni and her EAC team for the extensive work done in putting the book together, saying the book should be in every school as well as on all sale platforms to create easy and much needed access.